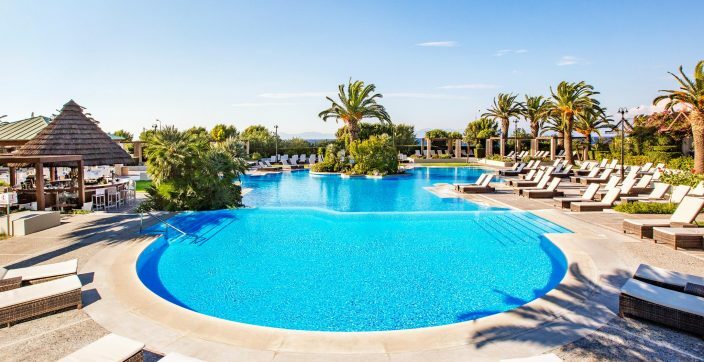 Savour the surreal Cretan experience while staying at the Blue Palace, a Luxury Collection Resort in Crete that boasts rooms and suites, many of which fitted with infinity pools and complete with crystal blue water and a palm tree-lined main pool. 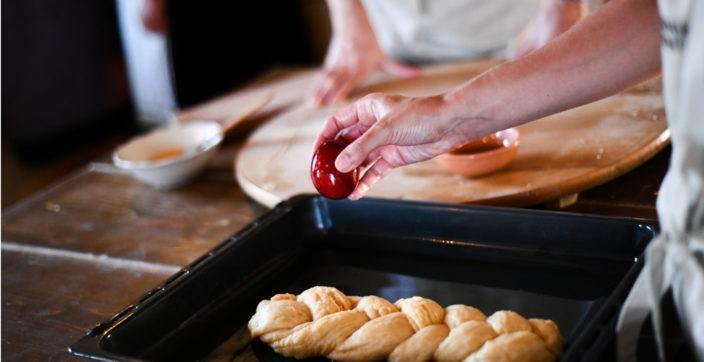 Over in Santorini, encircled by traditional stone walls and surrounded by vineyards, Vedema, a Luxury Collection Resort offers beautiful Suites and Villas, offering breathtaking views of the traditional vineyards and the picturesque Megalochori village. 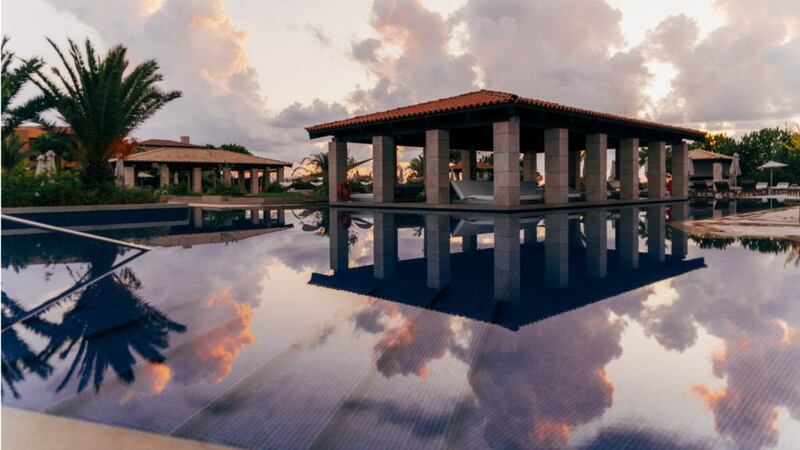 The main pool, located at the heart of Vedema, at Pergola Restaurant, is the perfect relaxing spot for all guests, while it perfectly matches with resort’s surroundings. 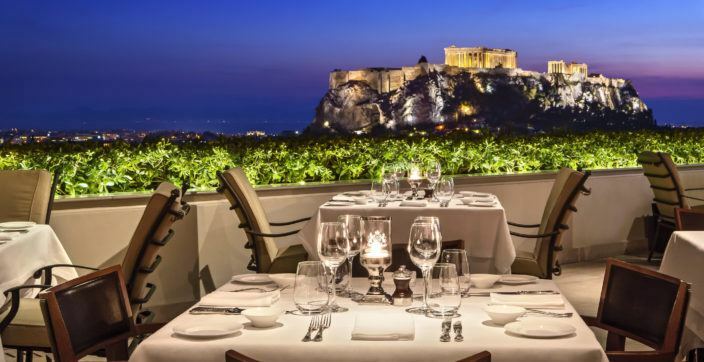 At the alluring Hotel Grande Bretagne, a Luxury Collection Hotel, Athens, a classic, luxurious and relaxing holiday awaits. 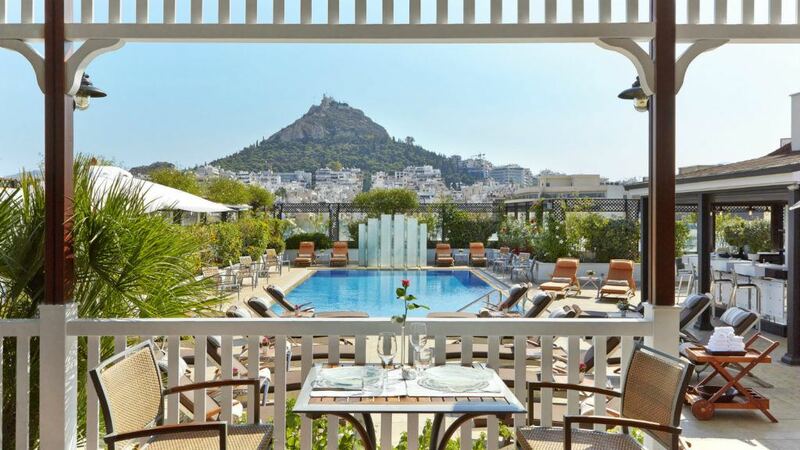 The GB Pool Bar with its picturesque gazebo and turquoise pool, offers an uninterrupted view over Athens‘ highest hill and one of its most romantic places, Lycabettus Hill. 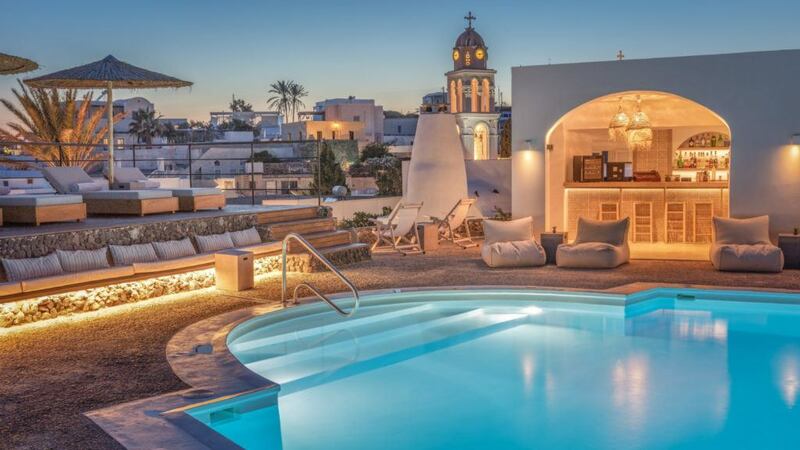 Santa Marina, a Luxury Collection Resort, Mykonos is home to one of Mykonos Island’s finest treasures, the opulent and exotic Oasis Pool & Lounge. 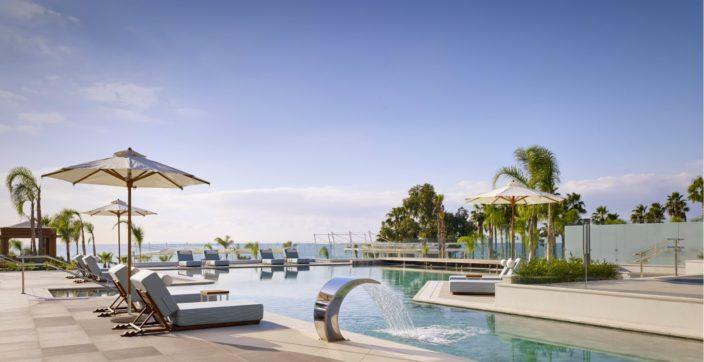 Bask in the postcolonial aesthetic of the luxurious pool, complete with the scent of tropical palm trees, bamboo details and a breathtaking view over the Aegean Sea. 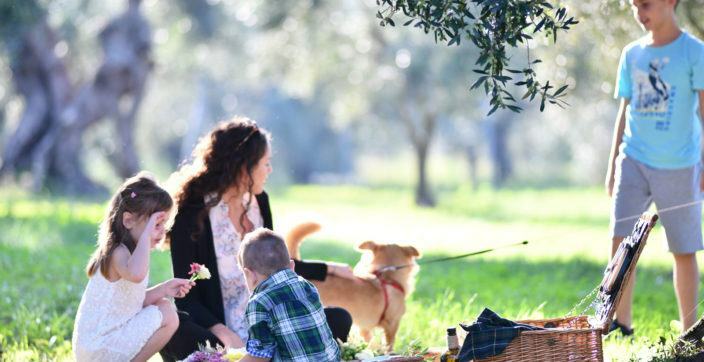 Costa Navarino is home to The Romanos, a Luxury Collection Resort and The Westin Resort. 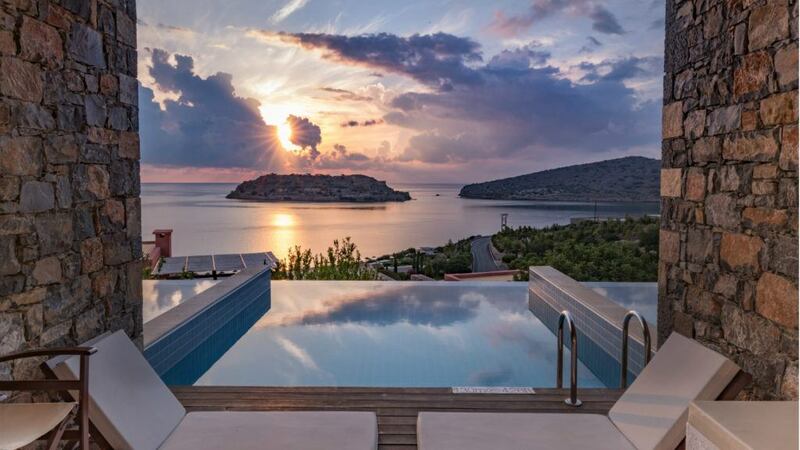 The Romanos’ many captivating private infinity pools offer uninterrupted scenic views over the Ionian Sea and golf courses, while the main resort’s pools offer views of the magical scenery of Messinia. 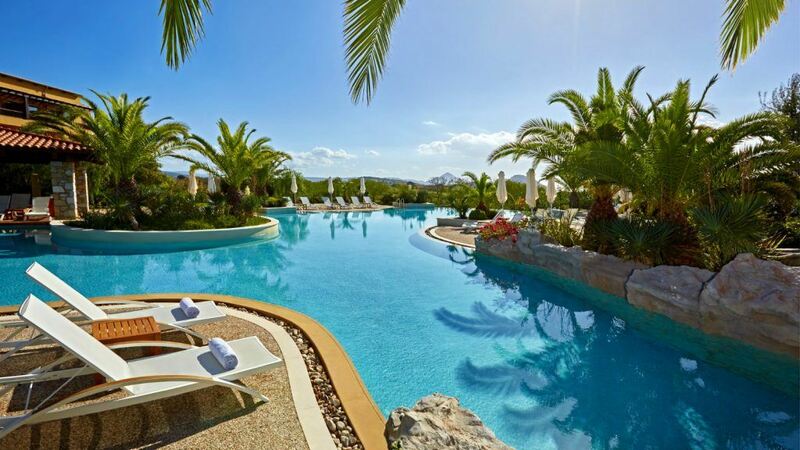 The exotic waterfalls and vibrant outdoor pools of The Westin Resort, Costa Navarino are designed to deliver on complete relaxation and enjoyment. Many rooms and suites have private pools that allow guests the luxury of basking in the harmony between nature and modern architecture. 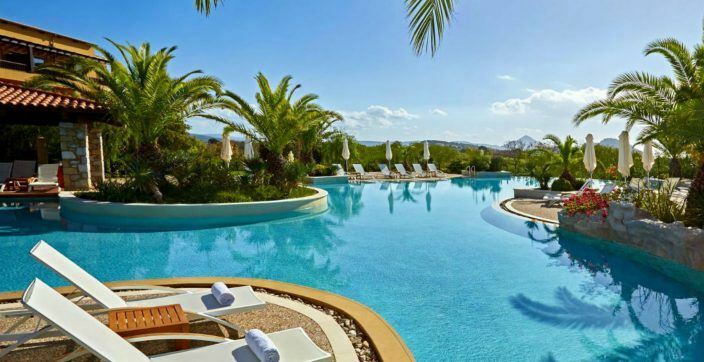 Sheraton Rhodes Resort, cocooned in the beauty of its lush gardens, situated exactly right next to the shore, cannot offer anything less than magical scenes over the Aegean Sea. 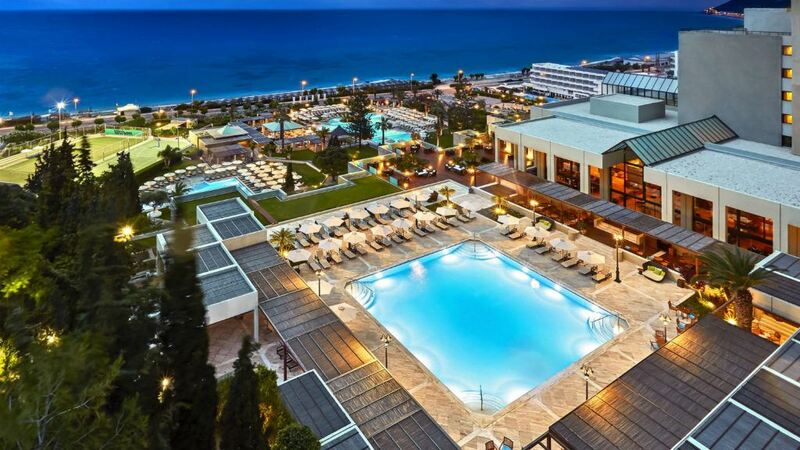 While having a swim at one of the resort’s pools, one can indulge in moments of matchless serenity, either with captivating views of the sun setting above Rhodes or while gazing into the sea.